I’m going to blog this in case anyone else has run into the same issue. I recently tried to create SSIS Package Configurations using SQL Server Data Tools (SSDT) in a SQL Server 2012 environment in Cloudshare. As always, I right clicked on the Control Flow designer for my package expecting to see the Package Configurations option on the menu. The option was not there. 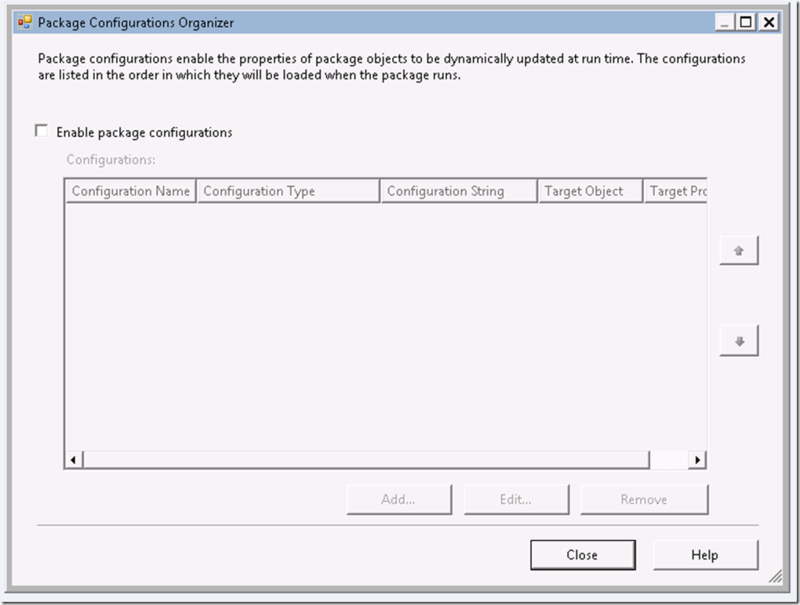 So I searched msdn I found the instructions for 2012 tell me to select Package Configurations from the SSIS menu. http://msdn.microsoft.com/en-us/library/ms141132(v=sql.110).aspx I did that, but it’s not there either. I haven’t been able to find a solution to getting this option back into my menu, but I did find a workaround. 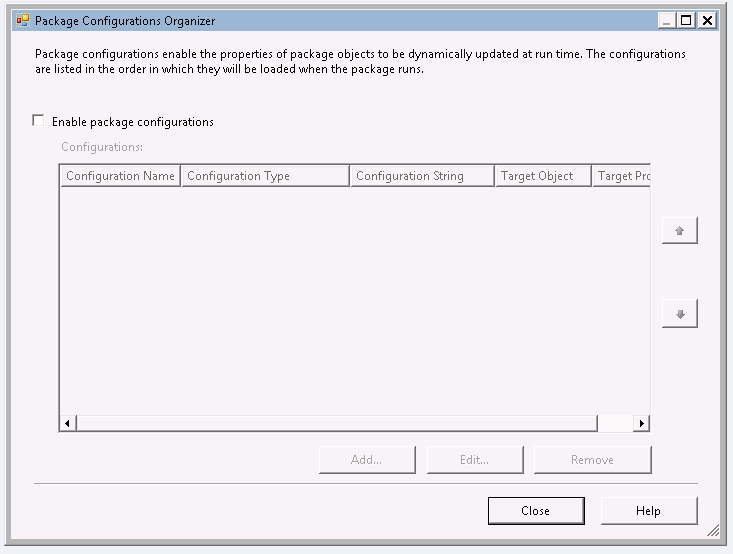 In my Package Properties window there is an option for Configurations. When I click on the ellipsis I get the Package Configurations Organizer window I am looking for. 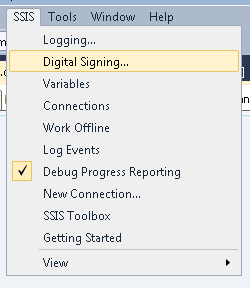 Just click on the Enable package configurations checkbox and away you go as normal. 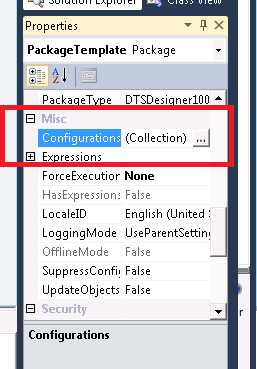 I will be posting a blog shortly on some best practices for defining and reusing Package Configurations across your solution using a Package Template. As an aside, I did also come across this interesting blog post on Parameters in Denali. As he states, they don’t replace Package Configurations, but it is another way to go. 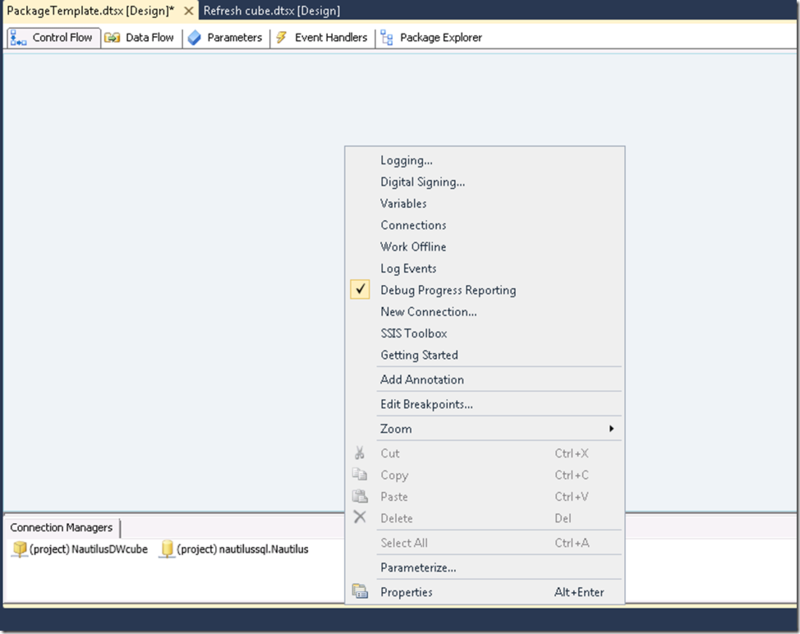 In SSIS 2012, package configurations are available for the legacy package deployment model. The BOL topic referenced above (http://msdn.microsoft.com/en-us/library/ms141132(SQL.110).aspx) is targeting this scenario. The topic has been updated to make this clearer. The updated topic will appear in the next Web refresh of 2012 BOL. When a project is configured to use the project deployment model, by design the Package Configurations command does not appear on the SSIS menu. 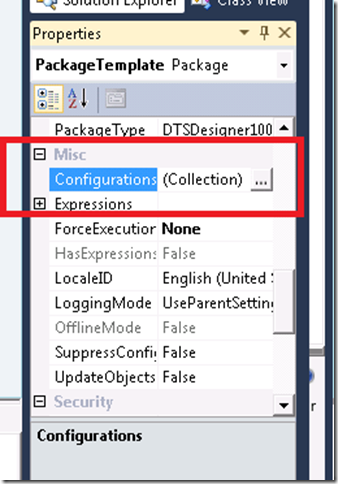 If you check out Carla’s comment, she explains that in SSIS 2012 package configurations are available for the legacy package deployment model. 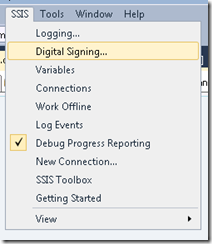 When a project is configured to use the project deployment model, by design the Package Configurations command does not appear on the SSIS menu. It seems that package configurations are being phased out in favour of using package variables. Thanks for that. Just what I needed!!! This is what i was looking for,Thanks . Thanks for this and guess what, after first time, I can see the Package Configuration link by right clicking just as before. So only first time appears to be the problem. BOL still has the non-working information so thanks very much for this. Spent an hour looking for it and only found it after finding your article. Glad it helped. Thanks for the feedback. Thanks. I was looking for this! Thank you Martina White ! Thanks a lot!! I spent lot of time to get this!! Thanks a lot! It helped me a lot!